Crosley’s turntables don’t have the best reputation among vinyl heads. Almost all of the record players the company makes are designed for first-time buyers. They’re cheap, both in terms of price and design. The first turntable I owned was a Crosley . Most of the parts were plastic, and it didn’t produce great sound. 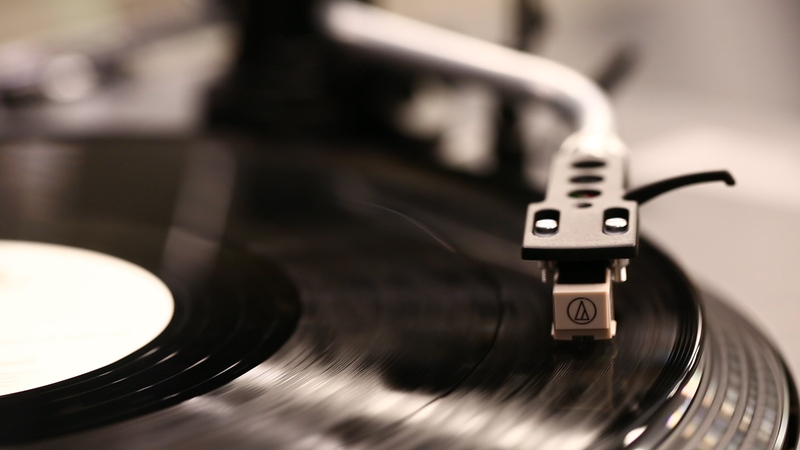 If you played anything with heavy bass, the tone arm would skip around. The plastic cover on the top broke after six months, and the device eventually only produced sound at half volume after being “active” for a year. It wasn’t a great device, but it got me hooked on vinyl. When I went to upgrade to a better deck, I didn’t think at all to get a Crosley. 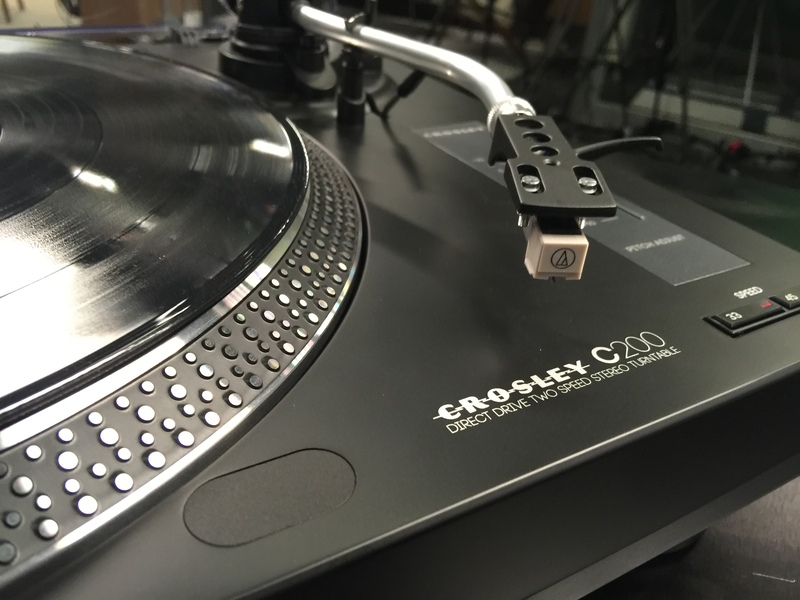 It’s the exact problem that Crosley the brand is looking to tackle with its newer C Series turntables, which includes three models. The first two models in the C Series came out last year (C10 and C100), while the newer C200 was announced at CES 2016 in January. The Crosley C200 might see some success, too. While potentially a tough sell for users like myself who’ve had a sub-par experience in the past with earlier and cheaper models, a test-drive easily argued the case for entry and intermediate level users. The Crosely C200 is easy to set up. 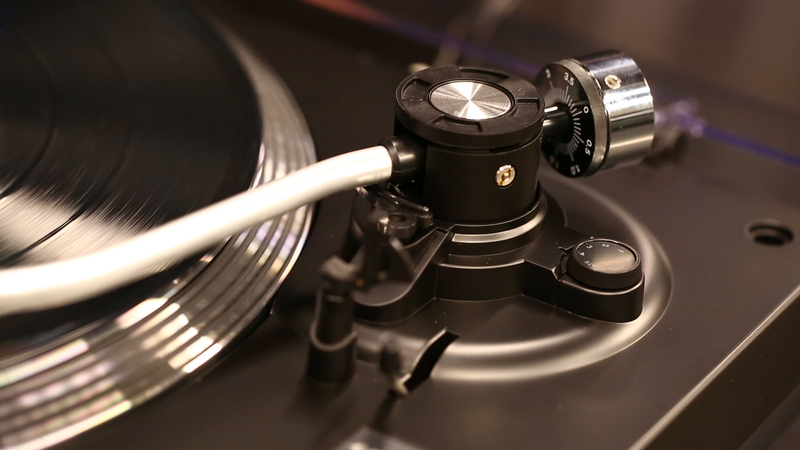 All you have to do is set the turntable platter in the center, install the headshell into the front of the tonearm, balance the tonearm and stylus pressure, and put on the turntable lid. If that sounds super complicated, don’t worry. Everything clicks together like LEGOs, and the directions are easy to follow. Sometimes when you are setting up a new turntable, balancing the tonearm can be a bit of a hassle. That’s not the case for this turntable. The adjustable pitch control is a nice touch, especially for more advanced users. The pitch control allows you to adjust your pitch and tempo for DJing, and it should help the device appeal to the more veteran crowd. Most Crosley turntables look and feel cheap, but the C200 is an exception. The matte black finish, dazzling strobe dots, and more durable tonearm make for a sleek look and sturdy design. I tested the sound quality of the C200 with a number of different genres, including indie rock, pop, deep house, ambient, and trap. I also played all sizes of records to check for any variances in performance. I played everything through a Bose home theater system, and the sound quality didn’t disappoint (even at an excessively loud volume). At $279, the price is right. If you look at other turntables with similar features and design, you’ll find that this is a pretty good deal. Unless you are trying to be a professional DJ, this is a great deck to consider buying. The built-in pre-amp is good but not great. I tested this against my own pre-amp, and my pre-amp made the system sound significantly better. If you flip the phono switch on the back of the turntable and then run the RCA cables through your own pre-amp, you might have better sound results (as was the case for me). The sound is still good with the default pre-amp, but you might be able to make it sound even better with a little customization. I also wish the package came with longer RCA cables. The pre-packaged cable is pretty short, so you might need to buy something longer depending on your home stereo setup. Fortunately, I had spare cables so this wasn’t a huge issue, but I could see this causing frustration for some users. My biggest complaint about this turntable is what happens when you get to the end of a record. 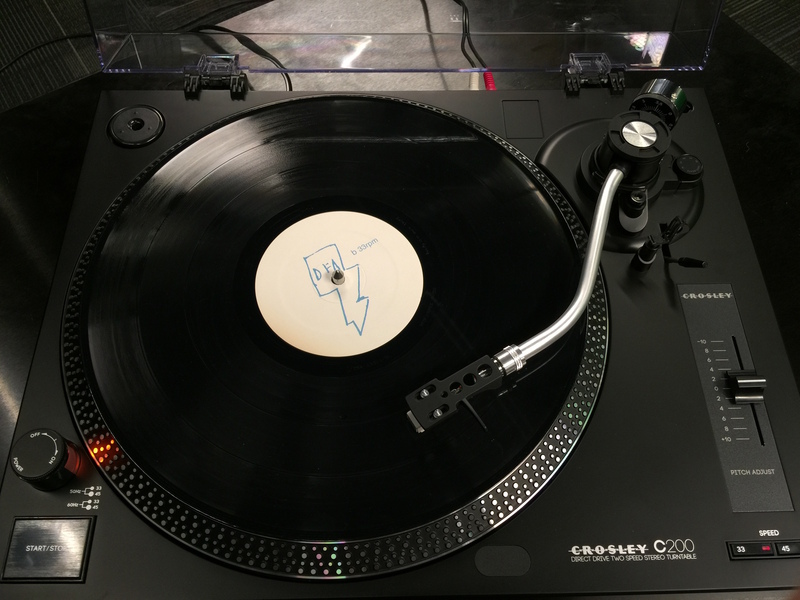 The record player doesn’t actually turn off, and the tone-arm doesn’t have a auto-return feature. This is a little irritating as it forces you to manually stop the record player after each listen. I’ve always liked record players that with stop when they finish or stay on and have the arm manually retract. The Crosley C200 is a great turntable, and I highly recommend checking it out it if you are in the market for a new record player. 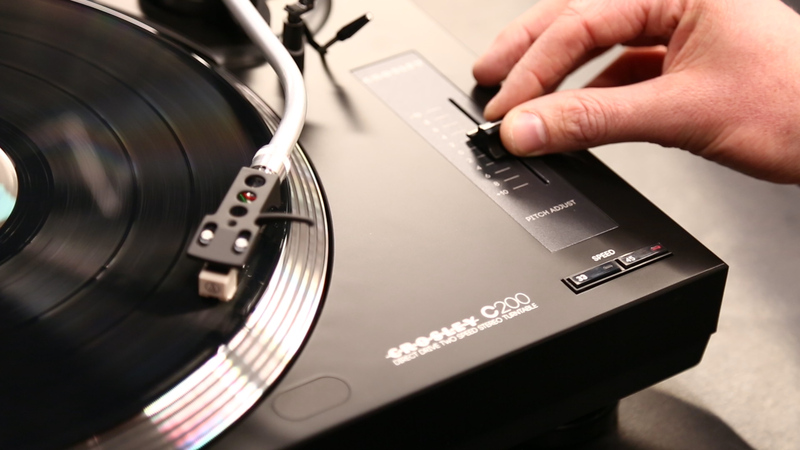 If the first turntable you bought was a cheaper, less sturdy one, and you don’t want to break the bank on a super high-end model, the C200 is a great upgrade. 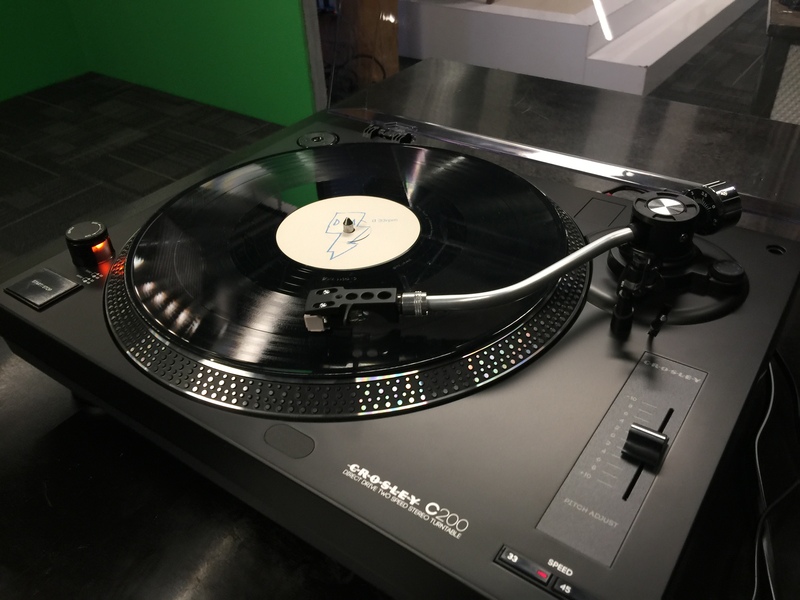 This is not a professional level turntable, but it’s not priced or designed to be that way. The design is great, the price is fair, it’s easy to set up, and it sounds wonderful. More advanced features like pitch control are there if you want them, and the devices shortcomings are minor. The only reason I’d pass on this device is because it lacks a auto-return tone-arm. Hopefully this is the start of something bigger for Crosley as they attempt to lasso more advanced users.